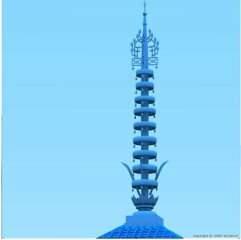 POVCOMP 2004: Viewing Page for "Japanese spire!" The five-storied pagoda in Horyuji Temple is the oldest existing wooden structure, and is registered also into the world heritage of UNESCO. In fact, there is no it on the sea. 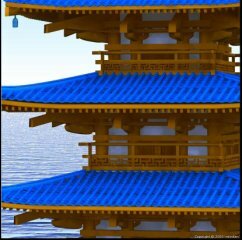 Buddhism and construction technology came to Japan across the sea. I like the word "spire". I did the modeling of the spire of Notre Dame several years ago. And I looked for the Japanese spire. I tried to it for POVCOMP2004. Thanks to Ken Tyler for giving me the inspiration. 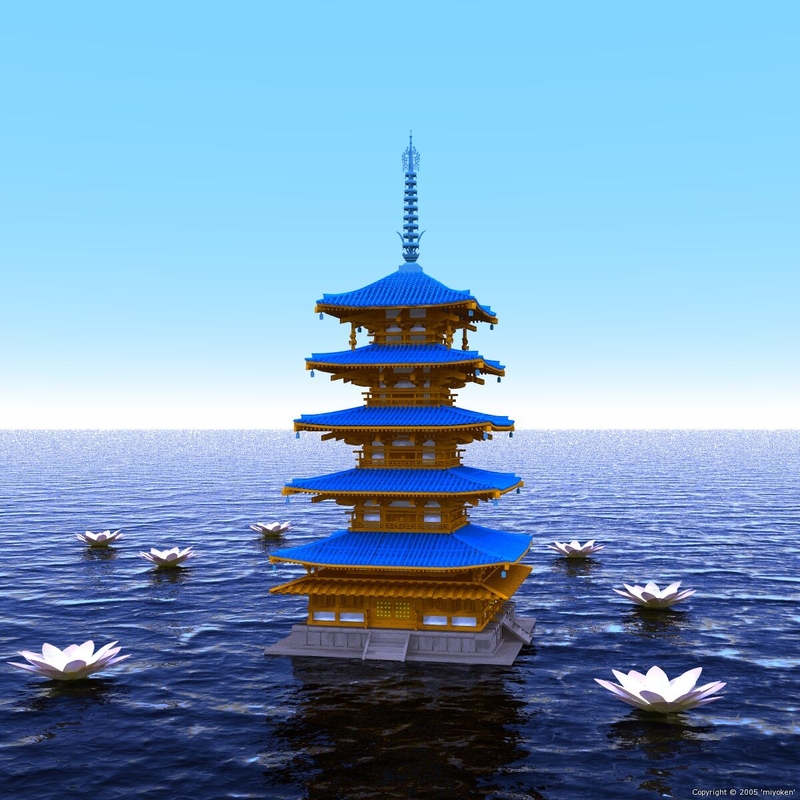 The pagoda and The flower of lotus were modeled with hamaPatch by me. for the sky and the sea I modified and used Samuel Benge's visible light source (from news.povray.org). Thanks to Samuel Benge. I used radiosity setting. Very good modelling, good water texture. Seems a little bit pointless to me. It's a spire in the water and then what?